After learning about how to use MACD indicator and the signals provided by MACD in our previous Market Vidhya post - How to Use MACD in Day Trading? Now learn more about various trading strategies using MACD & other indicators. 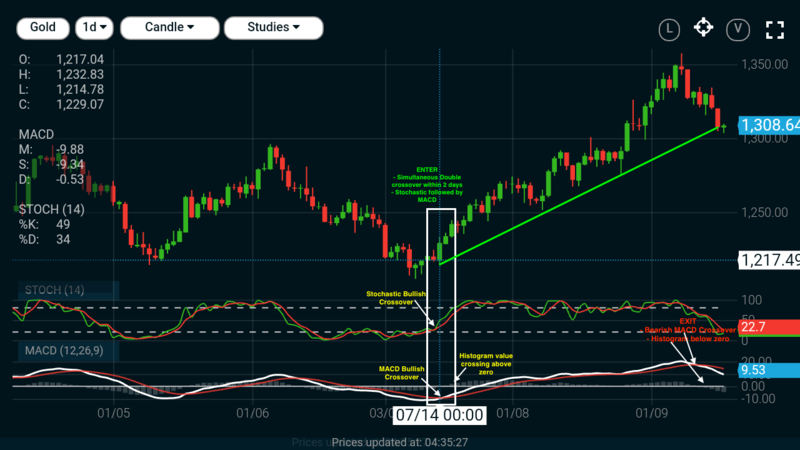 In this strategy, the MACD indicator is used to identify the trend and the Bollinger Band as a trade trigger. In this strategy, 200 period moving average (MA) is used to filter trends and MACD is utilised to enter into trending markets. हमारे पिछले मार्केट विध्या में हमने सीखा की एमएसीडी सूचक और एमएसीडी द्वारा दिए गए संकेतों का उपयोग कैसे करें - डे-ट्रेडिंग में MACD सूचक का उपयोग कैसे करें?